Choose between a 1BR or 3 BR luxurious and fully equipped Casas/Homes. where Pacific Humpback whales winter from December to March. Each unit has a fully equipped kitchen and a magnificent second floor where you have a beautiful view of the Pacific ocean. The property is easy to reach without a 4WD vehicle. Banks and groceries within one mile. 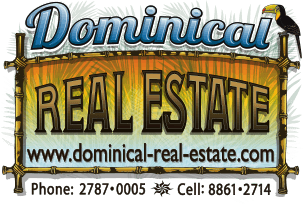 Close to Medical and Dental clinics , pharmacy and new hospital 30 minutes from Uvita. Alarm system and safe for valuables. 1BR US $120/night, US $840/week. 3BR US $200 /night, US $1400/week. Christmas and Easter week: Add $30.00 per night. and has a single shower equipped bathroom. The 3 BR house is equipped with a queen size bed in the master bedroom ,2 single beds in the 2nd BR and a queen size bed upstairs in the 3rd BR. A large shower. Located 17 km south of Dominical and about 30 km north of Palmar Sur on a great highway. The road to the property is situated 200 meters south of the 160 Km marker. The Km markers are located on the coastal side of the highway. Drive 300 meters up the road and the property is the first driveway on the left and is indicated by a Casas Costa Ballena sign. The Whales & Dolphins hotel is 1 Km further up the road.